It seems the whole world—or, at least, the Comic Con-attending part of it—is pretty excited about the new Muppets show premiering on ABC next month. The aptly named The Muppets series will be “more adult” than its predecessor, possibly in an effort to fit in with other primetime shows. Earlier this summer we caught the trailer for the show, which provides a behind-the-scenes look at the lives of its characters, felt warts and all. 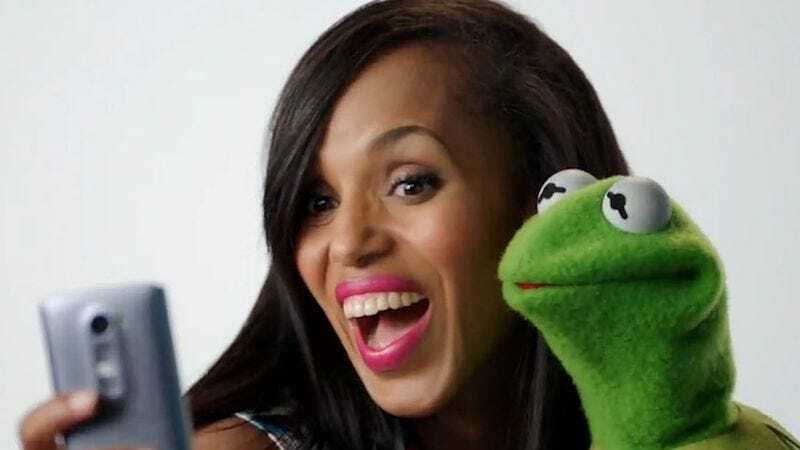 Entertainment Weekly shared ABC’s promos for the show in which some of the Muppets are welcomed into the fold by the stars of some of the network’s current hits like Castle, Scandal, and The Middle. We see that Nathan Fillion proves both charming and distracting to Miss Piggy, Kerry Washington gets caught in an ex-lovers quarrel, and Patricia Heaton deals with a mumbling guy that isn’t Ray Romano. The Muppets premieres September 22 on ABC.